Hike on Halloween and start a new holiday tradition. There’s likely a place in your neck of the woods that’s just a little bit spooky or has a scary-sounding name. HIKE. 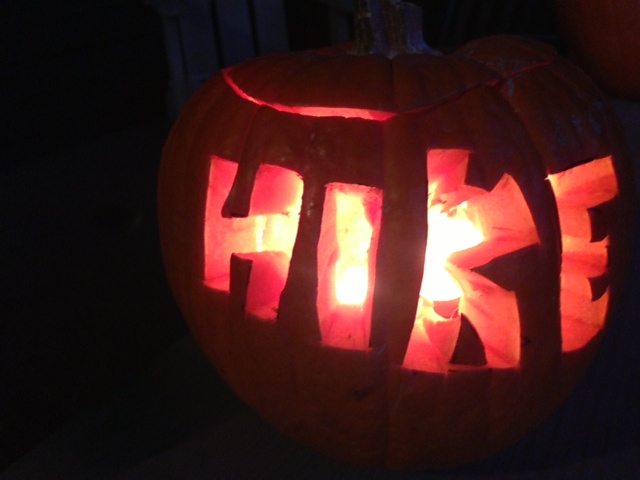 Carve it on a pumpkin and remind yourself that autumn is a great season for hiking. The Trailmaster has been pleased to note an upswing in hikers hitting the trail on or near other holidays, both sacred and secular. The “New Year’s Day Hike,” is now embraced by parks departments across the country. Easter Sunday hikes and Christmas hikes are very popular, and lots of hiking takes place over Presidents Day, Memorial Day and Labor Day weekends. Thanksgiving hikes can be wonderful multi-generational outings with family and friends. I suppose the real reason I want to encourage taking a hike on Halloween is that for too many people in too many places in the country, Halloween marks the END OF THE HIKING SEASON. It’s NOT an official end of the hiking season (no governmental agency or hiking authority declares Halloween to be the end of hiking season, but nevertheless at the end of October, scores of hikers hang up their hiking boots until the following spring. OK, if you live in a really cold place, with lots of snow on the ground by Halloween, I understand why your hiking season is over. But what really bugs The Trailmaster is that Halloween is often the end of hiking season for those in warmer climes, even for those fortunate to live in regions with four-season hiking. 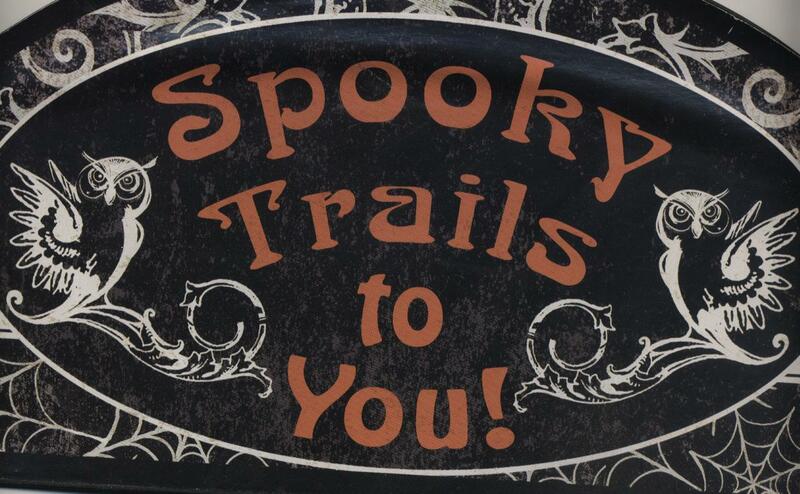 So let’s get out there and take a Halloween hike–preferably to a scary-sounding or spooky-looking place to hike. Halloween always makes me think of the large number of California locales with deathly and devilish names that I’ve hiked to over the years. In Southern California, trails lead to the Devil’s Punchbowl in the Mojave Desert and Devil’s Canyon in the San Gabriel Mountains. For a devil of a time, follow Devil’s Slide Trail into the San Jacinto Mountains or the Devil’s Backbone Trail up to Mt. Baldy. California’s national parks have their share of trails to scary-sounding places. Take a hike in Devil’s Postpile National Monument or trek to Bumpass Hell and Devil’s Kitchen in Lassen Volcanic National Park. Death Valley National Park is likely the nation’s best place for a Halloween hike. Hit the trail to the Funeral Mountains, Skull Mountains, Coffin Peak, Deadman’s Pass, Dante’s View, Devil’s Golf Course or Hell’s Gate. 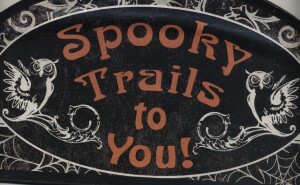 Here’s wishing you Happy Halloween and Happy Trails.